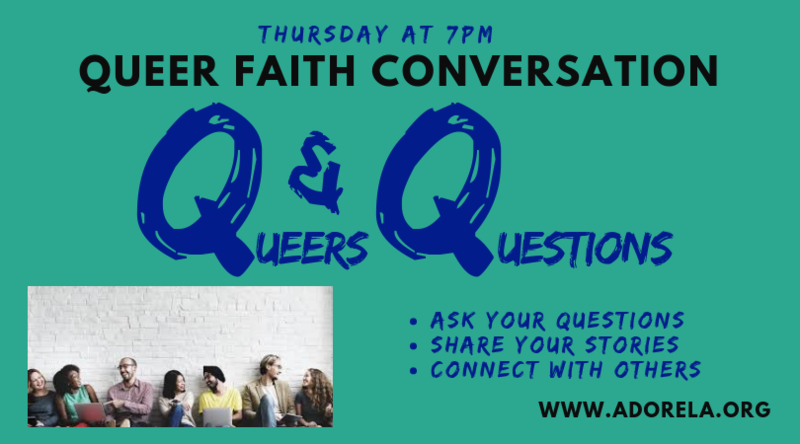 Queers + Questions is a space to share a queer faith conversation with others who have similar experiences. It’s a space for you to ask ANY faith question you want + connect as queer people together on a spiritual journey. A space for curiosity, realness, spirituality + hope. Q + Q meets in Los Feliz area and is brave space for curiosity and a community where you can be your true self. Q + Q recognizes that faith is not always about the right answers, but the right questions and community. A place for all to belong. Join us afterward for a drink at the Eagle.